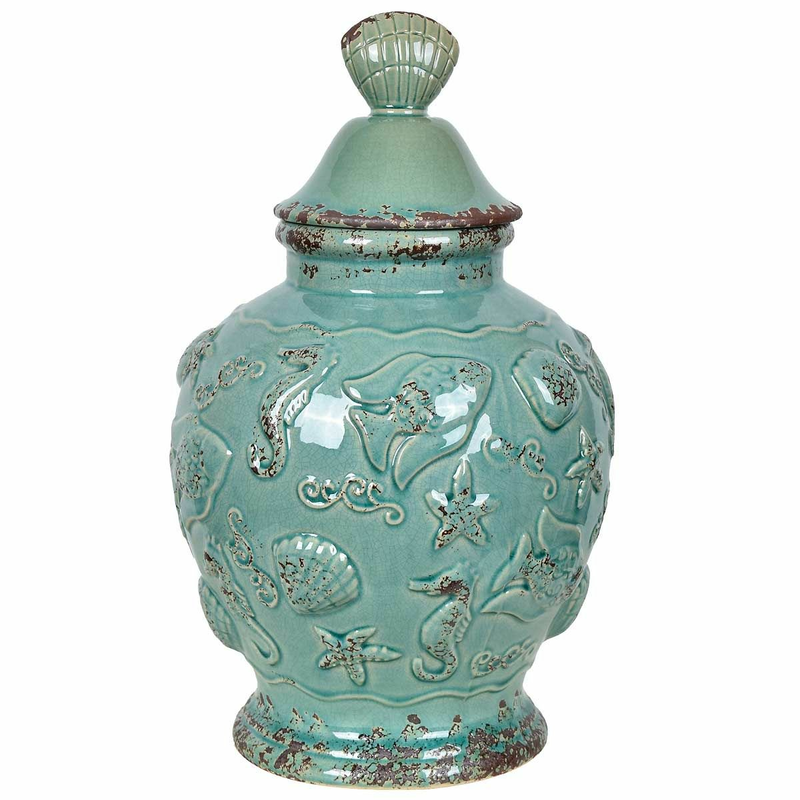 A Bella Coastal D�cor Exclusive - Ceramic with embossed sea life in a distressed finish. Not food safe. 6"Dia. x 13 1/2"H. Allow 1 to 2 weeks.